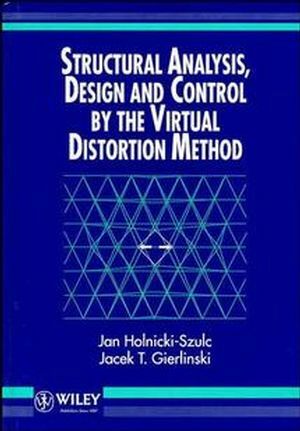 This book presents the general concept of the Virtual Distortion Method with the necessary theoretical background and a number of its applications to problems of structural analysis and design. The approach presented allows for the development of efficient computational methods for the numerical analysis of problems where, e.g., local failures, the temperature field or permanent plastic deformations are described by virtual distortions. On the other hand, properly modelled (fictitious) virtual distortions can be used to simulate structural modifications such as material redistribution applicable in the optimal redesign process. Finally, virtual distortions can be used to mimic the behaviour of actuators in active structural control problems: shape, stress or vibration control. A number of numerical algorithms are developed, enabling one to solve various problems of structural analysis, design and control. Jan Holnicki-Szulc is a professor who graduated from the Warsaw University of Technology in Civil Engineering and simultaneously from the University of Warsaw in Mathematics. He heads the Smart Technology Centre - STC -, operating at the Institute of Fundamental Technological research - IPPT - of the Polish Academy of Sciences - PAN -, Warsaw, Poland. Analysis of Initial Stresses and Deformations Caused by VirtualDistortions. Nonlinear Structural Analysis, Truss Structures. Nonlinear Structural Analysis, General Skeletal Structures and 2DContinuum.